An integrated work-plan that works for you. If you want all the fundamentals of a work-plan without having the hassle, then look no further. ImpelX addresses the frequently forgotten fundamentals of the work-plan and what it’s used for. 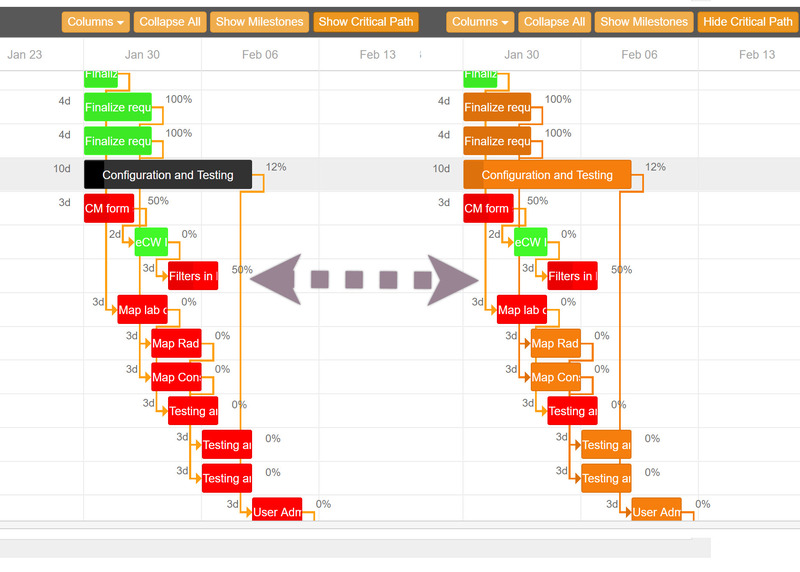 The Gantt view is highly interactive and visually informative. The table view is straight forward. 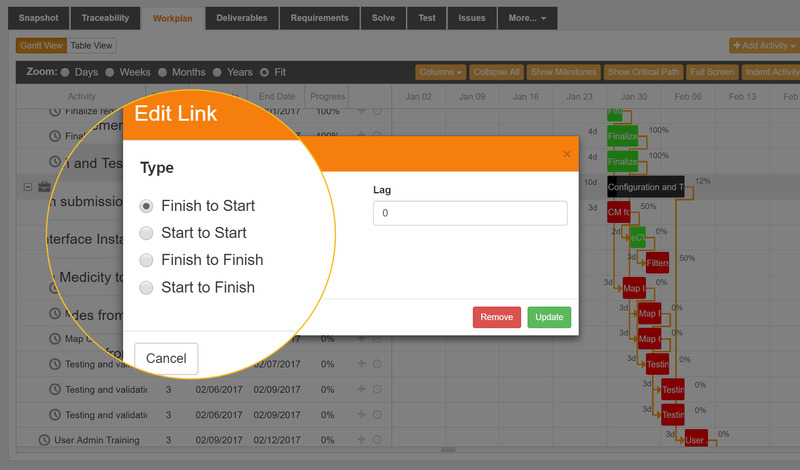 Either view has all of the same capability to track every task, dependency and milestone. Know in one click tasks that have the biggest impact on your timeline if delayed. No need to perform calculations or run a report to show critical path and key milestones. Both are at your fingertips in a single view. 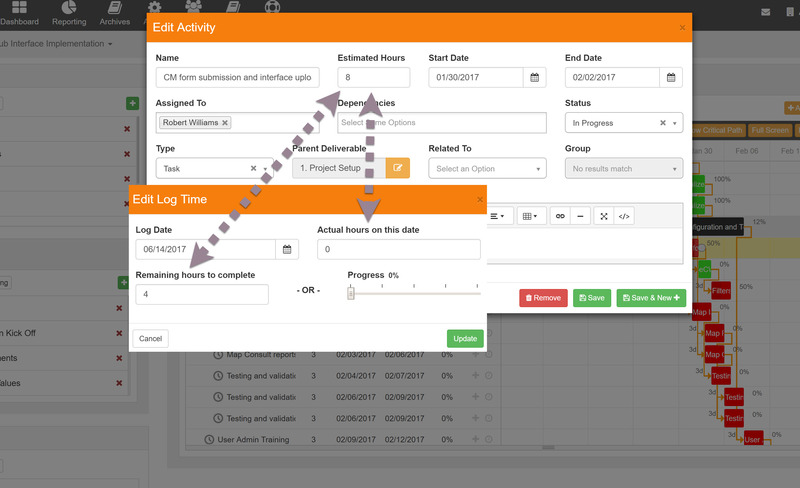 In a single glance a user can also see which activities are on time or behind schedule as planned with automated color coding to Green, Yellow, and Red status indicators. Not every company is alike so you can set the thresholds for when project activities are considered on track, needs attention, or at risk. Easily change from finish to start, start to finish, finish to finish and start to start as needed. Use lag time to show big gaps when dependent activities finish and begin. Never guess how much work is needed, incurred or what remains to get the activity complete. With the math figured out for you progress on the activity based on hours entered is calculated versus a subjective percent complete. A project team now has a data driven real-time view for both what has happened and what is forecasted. 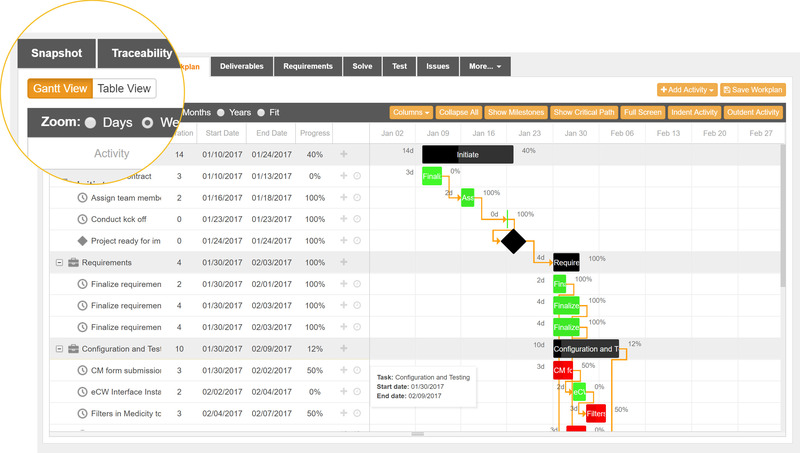 Learn more about how ImpelX‘s work-plan simplifies activity tracking and time management for all project team members.